Welcome to the weekly stock report for the Colorado Avalanche. Each Wednesday, we’ll take a look at three players who have improved their stock in the organization the previous week, and three players whose stock has fallen. Let’s take a look at the biggest movers and shakers one week into the regular season. G Semyon Varlamov – The pending unrestricted free agent came into camp ready to win the No. 1 job, and of the two goaltenders, has certainly played the best. He was great in both of his starts, and given Philipp Grubauer has yet to have a great game in an Avs uniform, whether in preseason or during the regular season, Varly looks like the clear starter at the moment. C Tyson Jost – The 20-year old center has somehow managed to be kept off the scoresheet completely, but not for lack of effort. He’s been fantastic at both ends of the ice, leading the team in possession numbers, as the Avs are controlling a ridiculous 67 percent of the shot attempts when Jost has been on the ice. The production will come if he keeps playing the way he has. W Colin Wilson – Wilson made an appearance here last week, but his stock continues to go up. He had a goal disallowed on opening night, and picked up two goals the next game against the Philadelphia Flyers. 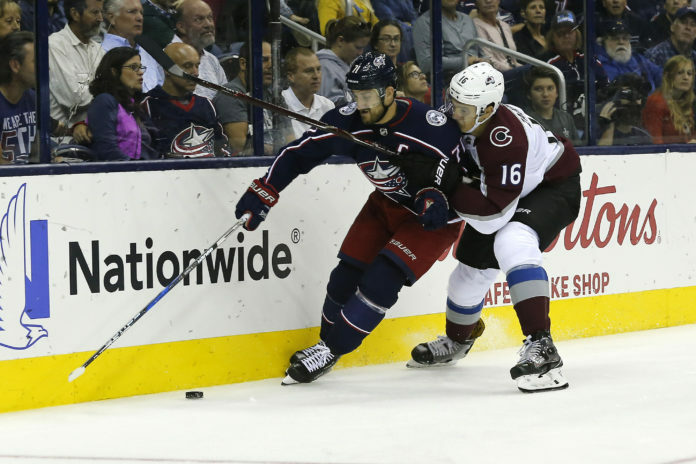 He looks quicker on the ice and has been a perfect fit with youngsters Jost and Alexander Kerfoot. 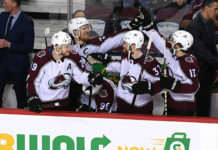 D Nikita Zadorov – The big man came into camp in better shape this year, but after a strong game on opening night, he’s struggled in every facet. He’s been the low man on the totem pole in terms of ice time in all three games among the dressed defensemen. If the Avs are going to take a step this year, they need him to be much better. 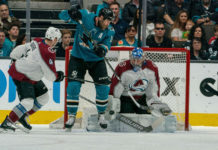 D Tyson Barrie – Barrie has been a bit of a slow starter throughout his career, and this year has been no different. Only Mark Barberio has worse possession numbers on the defense when you adjust for score effects, and he’s yet to pick up a point. He will get it going like he always does, but with Girard playing as well as he is, will the Avs consider a swap on the power play? W Gabriel Bourque – Bourque earned a spot in the lineup last year in a limited role with his hard work and penalty killing ability, but with Blake Comeau’s departure, he is now being used in a heavier workload and he’s struggling. He has the worst possession numbers on the team, and has managed to register only one shot on goal. It may be time to try someone else on Carl Soderberg’s wing.